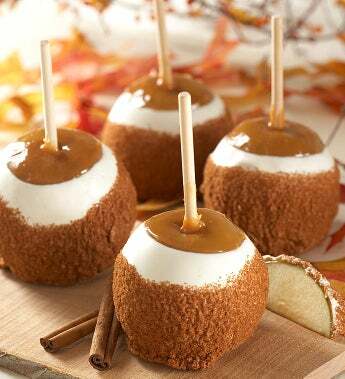 Send someone special a decadent treat that's an indulgent combination of 2 all-time favorite---apple pie and caramel apples. These tart, delicious Granny Smith apples pack an orchard fresh crunch and are hand-dipped in rich caramel and creamy white confection, then dipped in snappy cinnamon sugar. A sweet treat for business associates, teachers, etc.